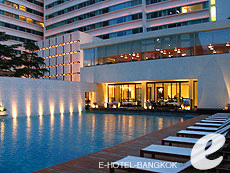 Heaven@4 Hotel Bangkok is located near BTS Nana station which is shopping, restaurant, entertainment, night life and business district. This 6 story building has total 21 rooms by 4 room categories. Every rooms, lobby and corridor are decorated vivid color and neon lighted. 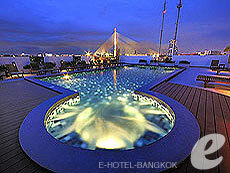 Swiss Park hotel is located in the prime area of Bangkok, a 2-minute walk from BTS Nana station. There are many restaurants, bars, massage shops, and shopping venues in the neighborhood. The simple and clean rooms are popular for mid/long term business trips. Offering excellent location and facilities at a reasonable price, the hotel is very popular and often fully booked. Early reservation is recommended. 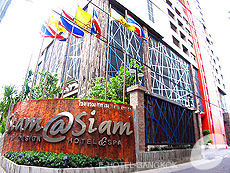 This is a small hotel (serviced apartment) located on Saladaeng Road, in the business district. You will be welcomed with warm hospitality. The hotel doesn’t have a pool or restaurant, but it offers affordable accommodation with wide range of services, including free computer rental and free internet access in room. MRT Lumpini and BTS Saladaeng stations are within walking distance. Experience the Romance of Old Shanghai when you stay at Shanghai Mainsion Bangkok, the first and only Boutique Hotel located right in the centre of the biggest and most original China Town in South East Asia and in the heart of Bangkok. 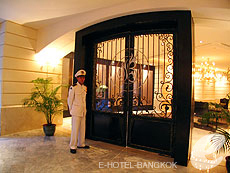 Inspired by our unique location in the city’s old Chinese community, Shanghai Mansion Bangkok Boutique Hotel is more than an ordinary Bangkok City Hotel. With historic significance as one of the first nine story buildings I the early Chinatown community, this building was one of the districts early important architectural landmarks. Silver Gold Garden is an affordable hotel located just 10-minute by taxi from Suvarnabhumi Airport. The hotel offers clean and comfortable rooms and free airport transfer. Local shops and supermarket are also nearby. Recommended for transit passengers.